Why not put the well-loved coffee to good use and help more than just your energy levels? There are a few parts to this pledge that we need to talk about: where your coffee cups and used coffee grounds end up, reusable alternatives to disposable coffee cups, and while we’re here, how you can change lives by choosing a socially-conscious coffee blend. It may seem like a lot to get your head around, but fear not, we’ll be on hand to break it down into small, simple, actions for you. Disposable coffee cups aren’t so disposable. To make them waterproof, they’re lined with a plastic called polyethylene which means coffee cups can’t be recycled in conventional recycling plants. This means that fewer than 1% of coffee cups are actually recycled. 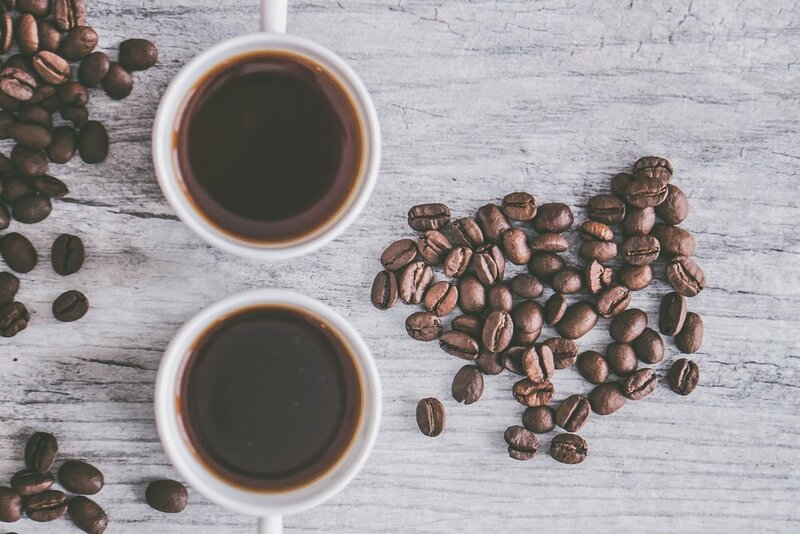 Coffee grounds break down to produce methane, a greenhouse gas 28 times more potent than carbon dioxide when disposed of in landfills instead of being reused or recycled. Fewer than 1% of the 7 million disposable coffee cups bought each day are ever recycled. 22% of the UK’s methane emissions come from landfills where waste coffee grounds are dumped. Methane is 28 times more potent than carbon dioxide. About 1300 tonnes of waste coffee grounds are produced each day in the UK. Coffee cups are fused with polyethylene, to make them waterproof. This is lining can’t be recycled as part of a coffee cup unless it’s taken to a specialist facility - there are only 3 of these in the UK. Make your pledge to clean up your coffee habit. Bring a reusable coffee cup everywhere you go. If you do use a disposable coffee cup, make sure it’s recycled in its own waste stream- ask your organisation to put a coffee cup recycling scheme in place if there’s not already one. Look out for Change Please coffee on your next coffee stop to help make a positive social impact. Get in touch with Cawleys to find out about our new coffee recycling service, where we can take your organisation’s used coffee grounds and used disposable, single-use cups and recycle them for you. Share #SmallActionBigImpact on social media and let others know your tips and experiences of creating cleaner coffee habits. By signing up this month to pledge TO clean up your coffee habit, you can lead the charge in making a difference. Cawleys has teamed up with both bio-bean, an award-winning clean technology company, and a specialist carton board reprocessing company, to offer new and existing customers a complete coffee recycling package. The new coffee recycling service will take your used coffee grounds and used disposable, single-use cups, and recycle them both for you. Find out more about our specialist service here. Cawleys and bio-bean team up to turn waste coffee into a burning success.